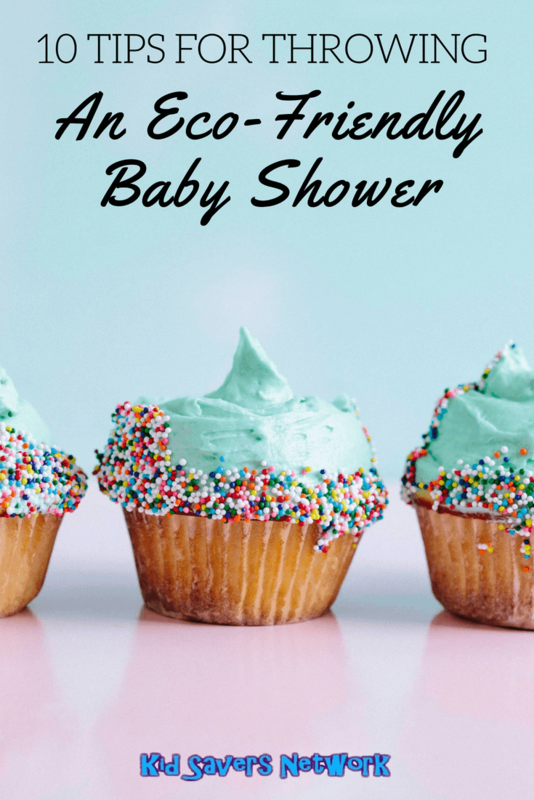 So, you’ve been asked to throw a baby shower! Now what? It should not be too hard to plan one, right? But, what about all the waste that goes along with a party? It’s a good thing that hosting an eco-friendly baby shower is easy! With green invitations, decorations and gifts they still have all the elemets of regular baby shower. Going “Eco-Friendly” can be kinder to the earth – and your wallet too! If you don’t know where to start, have no fear! We’ve put together 10 tips for throwing a super cute, eco-friendly baby shower! Go electronic! Skip the paper invitations, envelopes and stamps. Try e-invitations instead. 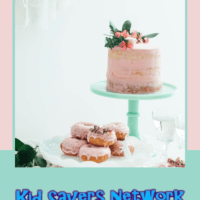 There are sites which can help you send e-invitations if you find that sending out traditional emails to be too informal. Sites such as Evite and Punch Bowl send out creative e-invitations of your choosing. Then, your guests can RSVP easily and can even leave you a message. Encourage the mom-to-be to create a green, eco-friendly gift registry. It is easier for your guests to find eco-friendly gifts if they are included in a registry. Eco-friendly gift ideas are cloth diapers, non-toxic baby shampoos, soaps and lotions, BPA-free baby bottles, 100% cotton clothing, blankets and sheets, and dependably made toys. Check out sites like Etsy where baby toys are handmade. Sure, they might be a little bit more expensive but they’ll leave a lower carbon footprint than those mass produced in China. Inform your guests that you would prefer that they don’t wrap their gifts. Also, do away with the cards. Simply explain the eco-friendly, baby shower theme that you are going with and tell them that gift wrap, bags and cards all end up in the trash─which is not earth friendly. Instead, ask your guests to wrap their gifts in 100% cotton baby blankets, sheets, towels, or even reusable shopping bags. If the gift is too large, ask them to consider using a reusable, BPA-free storage bin. Trust me – they’ll come in handy for toys later one! It can be fun to rethink traditional paper decorations and decorate in a “green way” instead. Some ideas are small, potted flowers or plants that your guests can take home with them and baby bouquets made from baby clothes and baby items. Furthermore, be sure to use cloth tablecloths which can be washed and reused. Consider making homemade, beeswax candles scented with your favorite essential oils. Be creative with your food choices while keeping it healthy. Think hummus, pita chips, olives, cheeses, and fruits and vegetable platters for the appetizers. Salmon burgers, chicken and tuna salads, and light pasta or potato salads make good for an organic entree. Instead of a sweet cake, think homemade fruit pies. Serving organic, all-natural foods is good for everyone. Furthermore, buy locally, and it’s good for your local businesses, as well. For drinks, create healthy smoothies, teas and flavored waters. We found making smoothies in a Blendtec or Vitamix blender makes the tastiest drinks. And it is also a way to talk about serving pure fruits and vegetables to your babies by making your own baby food in one of these powerful blenders. Do you really need matching pink or blue plates and napkins? Especially after considering all the garbage that paper plates, napkins and disposable silverware creates. Instead, use what you already have. If you don’t have enough plates to go around, ask friends to bring along some of theirs. Bamboo Utensils are also great as they can be used again and are 100% biodegradable. As for napkins, use washable cloth napkins to save on waste. BTW, you can find the cute grass drying rack on Amazon. Don’t forget about your green cleaning supplies. You can make your own eco-friendly cleaners using baking soda, lemon juice and vinegar. Here is a list of several eco-friendly cleaner recipes. The setting of your eco-friendly baby shower is important, as well. Of course, an outdoor setting in a park or yard would be the most “green” choice. However, what if it’s wintertime or the weather is not cooperating? You can choose an organic restaurant, a public nature center, a zoo or aquarium, a conservatory or even a campground or park shelter. Play games that don’t involve paper items or trash. A few ideas could be to see who can pin a cloth diaper on a stuffed animal the fastest. Or, play parenting trivia. Word searches and bingo are fun games too. Select eco-friendly game prizes, as well. As suggested previously, small potted plants or flowers make the perfect gifts that your guests can take home and enjoy for a long time afterward. What about creating an eco-friendly time capsule for baby and mom? Tell all the guests to bring a small item which can be put in a small container. Then, when baby turns 18, baby and mom can “dig it up” and share the memories within. When you forget about what a traditional baby shower “should be like” you can really get creative with green ideas. All it takes is thinking outside of the box. Think uniquely and create an unforgettable experience for your guests and mother-to-be!